Welcome to the November 12, 2018 edition of ACM TechNews, providing timely information for IT professionals three times a week. The wildfires ravaging California highlight the importance of early detection, with San Jose State University's Craig Clements saying artificial intelligence is being explored to more rapidly localize fires and predict their propagation and behaviors. 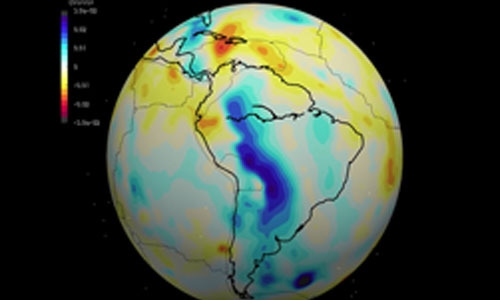 Researchers at the University of California, Davis Center for Spatial Technologies and Remote Sensing are working with the U.S. Forest Service to improve fire-detection algorithms in the center's Geostationary Operational Environmental Satellite Early Fire Detection System. Their goal is to optimize data processing to help detect ignitions as early as possible. They are using a satellite to perform tests with past images and wildfire-incident reports across many states to help refine the algorithms. Meanwhile, James MacKinnon at the U.S. National Aeronautics and Space Administration Goddard center has tested a neural network for automatically detecting wildfires using a satellite-based system that captures photos of the Earth and transmits data for use in applications such as weather forecasting. November 7, 2018; et al. A U.S. government-sponsored probe into declining social science data quality submitted via Amazon's Mechanical Turk (MTurk) service audited 30 U.S. studies fielded on MTurk since 2013. An Internet Protocol (IP) traceback service found an upsurge in international and virtual private service (VPS) respondents since February of this year, with 18% traced to Venezuela. Further scrutiny revealed Venezuelan MTurk users boasting about subverting restrictions on international users, suggesting economic forces motivating fraudulent responses. A remedy is to follow standard best practices when conducting research, like setting the "HIT Approval Rate" above 95% and the "Number of HITs Approved" to at least 100; IP address metadata should be audited to identify international and VPS users, and workers warned that their IP location will be checked and that "farmers" may not be compensated. The team devised a software package to enable MTurk researchers to audit their own data, as well as a Qualtrics protocol for screening out questionable respondents. The eyeglass-frame market is starting to leverage three-dimensional (3D) printing solutions, offering more choice for consumers and savings for manufacturers. Current printers work well for small quantities but not for mass production, while the range of materials and finishes for printed frames is still limited. Said Volker Hammes with Germany's BASF 3D Printing Solutions, "We want to push production to industrial scale." Italy's Safilo Group last year launched a line of printed sunglasses whose frames combine traditional metal wire and plastic elements printed by Belgium's Materialise. Safilo's Nicola Belli said he envisions 3D printing helping to enable made-to-stock production, as in a custom-retailing venture from Materialise and Hoya that blends digital scanning with additive manufacturing; the machines create a virtual model of a customer's head and can superimpose many tailored frame styles and colors. Researchers at the University of Waterloo in Canada have developed a method to hack radio-frequency identification (RFID) tags to turn them into Internet-of-Things (IoT) sensors. The team first removed the plastic cover from the RFID tag, then cut out a small section of the tag's antenna with scissors and attached a sensor across the cut bits of the antenna to complete the circuit. This process gave the RFID tag the ability to sense its environment. The researchers equipped another RFID tag with a phototransistor, a tiny sensor that responds to different levels of light. The team also developed an algorithm on the reader side that monitors changes in the tag's signal. Said Waterloo's Omid Abari, "Our main contribution is showing how simple it is to hack an RFID tag to create an [IoT] device." Princeton University researchers used years' worth of global earthquake data to generate a three-dimensional simulation of the Earth's interior. Said Princeton's Jeroen Tromp, "We are trying to make images of the variations of the seismic wave speeds in the mantle." Key to performance improvements in imaging capabilities has been the memory of the NVIDIA Tesla V100 Tensor Core graphics processing units installed in the Summit Supercomputer at the U.S. Department of Energy’s Oak Ridge National Laboratory. The researchers also have devised a beta version of a machine learning tool that is helping identify appropriate earthquake measurements that can be used for the project. U.K. companies in the science, technology, engineering, and math (STEM) sectors will work together to create and lead a U.K. National Center for Computing Education that will work with schools across the U.K. to help train teachers to better educate STEM students, and to encourage more uptake of computer science at the General Certificate of Secondary Education (GCSE) and Advanced (A) levels. The consortium responsible for developing and running the center will include STEM Learning, the British Computing Society, and the Raspberry Pi Foundation. The consortium will use funding to support several initiatives alongside the center, such as a teacher training program, and a program to support students taking Advanced Subsidiary (AS) and A-Level computer science classes. The center will work alongside the University of Cambridge to deliver training resources to primary and secondary school teachers. Cambridge, MA-based startup Kebotix has created machine learning software that learns material chemistry from three-dimensional models of molecules with known properties in order to design novel compounds. Kebotix feeds the molecular models to a neural network that learns a statistical representation of their properties, which can devise new examples aligned with existing models; a second network screens out undesirable designs, then a robotic system tests the chemical structures of the remaining models. 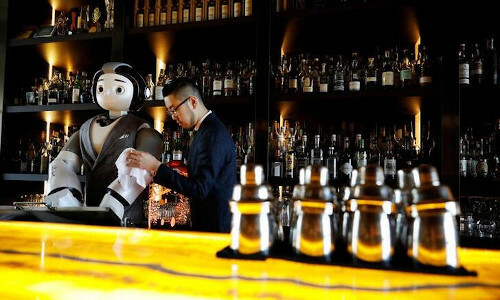 The outcomes are input back into the machine learning channel so it can yield results closer to target properties. MIT's Klavs Jensen said the use of such automation in chemistry "won't replace the expert, but you'll be able to do things a lot faster." Researchers at Radboud University in the Netherlands have found vulnerabilities in certain solid-state drives (SSDs) that allow hackers to circumvent disk encryption and access local data without knowing the disk encryption password. The vulnerabilities only impact SSD models that support hardware-based encryption, or self-encrypting drives (SEDs). The firmware weaknesses affect ATA security and TCG Opal, two specifications for deployment of hardware-based encryption on SEDs. Analysis revealed that the SEDs permitted users to set an encryption password, but also came with support for a vendor-established "master password," which attackers can use to access the user's encrypted password. Also, improper implementations of the ATA security and TCG Opal specifications mean the user-chosen password and the actual disk encryption key (DEK) lack a cryptographical connection, an oversight the researchers deemed "catastrophic." 7-Eleven is rolling out a scan-and-go transaction option at 14 stores in Dallas, with a planned expansion to other U.S. cities next year. The Scan & Pay feature is available for customers using the chain's smartphone app, allowing them to scan in their intended purchases as they walk through the store. Scan & Pay also ties into the 7Rewards loyalty program, so customers can learn about deals and promotions. Emory University's Ryan Hamilton said the addition of scan-and-go technology is a "major branding advantage" that could make more consumers favor 7-Eleven over other convenience stores, since "The biggest complaint about retail shopping is waiting in line and checking out." China's Xinhua state news agency has debuted a virtual newsreader that the agency said "can read texts as naturally as a professional news anchor." 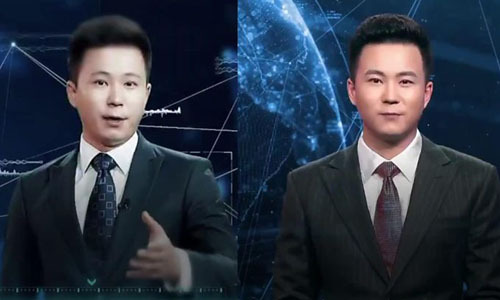 The construct is one of a number of presenters that report the news in several languages 24 hours a day on Xinhua's website and social media channels. Xinhua sees the anchors as both a cost-saving tool and a way of breaking news faster. An artificial intelligence system synthesizes the presenters' voices, lip movements, and expressions, modeled after those of real presenters. Chinese search engine firm Sogou participated in the system’s development. Michael Wooldridge at the University of Oxford in the U.K. pointed out that the presenter had difficulty appearing natural, in that the virtual anchor seemed flat, and lacked rhythm, pace, and emphasis. Said Wooldridge, "If you're just looking at animation, you've completely lost that connection to an anchor." 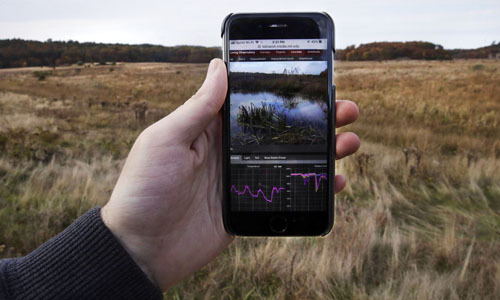 Researchers at the Massachusetts Institute of Technology are testing wireless sensor nodes, microphones, and cameras in the Tidmarsh Wildlife Sanctuary in Plymouth, MA, to pick up sounds from the marsh and nearby woodland and feed them into an artificial intelligence system with the goal of helping scientists better understand changing climates and improve wildlife restoration techniques. The sensors measure temperature, moisture, and other environmental conditions. Researchers also want to use the data to power an online virtual reality world or smartphone app that could help children gain a deeper understanding of nature, remotely or in person while walking a nature trail. Said MIT researcher Gershon Dublon,"The forest is a lot more active than you would think, because wildlife is quieter when you're nearby."